With all of the bad news about traffic loss and Penguin updates, there is some good news that has recently been published about .co domain names. Over 10 years ago .co was first brought to life as a domain out of Columbia. In the era of .com websites, the .co was overshadowed and despite many registration discounts the domain was deemed a failure. The shift in search engine placements due to the Penguin update has given .co the hope that the Internet marketing world has wanted to hear for a long time. The announcement that .co domains ranking first in Google, Yahoo and Bing is awesome news and there is a lot you can do with alternatives to a .com top level domain. Most of the chatter that is put out by Internet marketers says to avoid anything but a .com, .net or .org domain name. We used to agree with this statement but now things have changed. 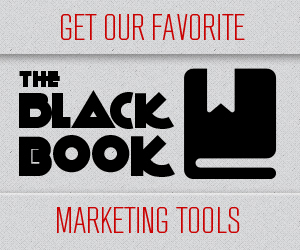 Regardless of the recent improvement in rankings, we here at Marketer’s Black Book are the proud owners of many .co websites. We are proud to report that before and after the Penguin update that our domains never had a problem being ranked in Google, Bing or Yahoo. We have found many advantages to using these domains. Many people have made a big deal out of .co names in the past although we have found the names to be excellent. Some of the ways that these can be used is to promote affiliate websites. The chance of getting an available .com for an affiliate product is very, very low if not impossible. The good news is that there are just about 1 million .co registrations. This leaves plenty of room to register the name that you want or a slight variation of the affiliate name. If you are promoting your new e-book, buying the .co name is a great way to establish a landing page or complete website for a cheap price. You might already own a .com, .net or .org trifecta of names for branding purposes. The registrations for .net and .org have slowed in the last few years now that Matt Cutts himself has acknowledged Google’s approval for the .co extension. Google now sees this extension just like any other top level domain that dominates search results. Niche websites are a perfect partner to .co domain name extensions because they are easy to remember. If you have a competitor in your industry and he or she owns the .com, you could grab up the .co and hope to steal some of their traffic. The possibilities are almost endless for what you can with this cool name extension. If you want to register a .co, we have had very good luck and cheap prices with a very reliable registrar. Go to www.supercheapdomainnames.com. Different coupon codes are accepted and help lower the price for single or bulk registrations.